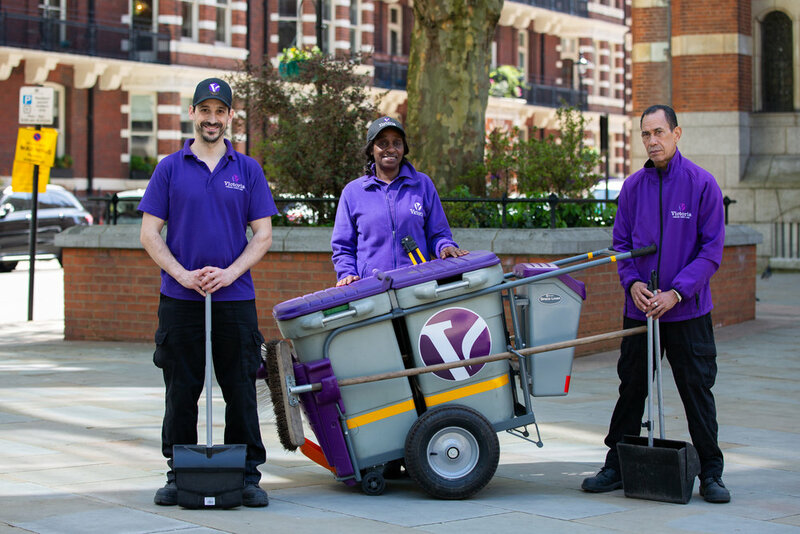 Over the last 18 months, we’ve been busy growing our teams in Victoria and The Northbank, adding street cleaning to our portfolio of services. We kicked off in Victoria in the Spring of 2017, followed by The Northbank in the Summer of 2018. Both teams use Flowplant high pressure hot water systems for night-time deep cleaning, and offer daytime Janitorial Services to BID Members in addition to litter-picking across the BID footprint. Sloane Street was developed by Henry Holland for the 1st Earl Cadogan (1728-1807). Charles ‘Sloane’ 1st Earl Cadogan sold the development lease to Henry Holland in 1777. Sloane Street today is home to the world’s leading fashion houses and on a day-to-day basis The Welcome People Ambassadors greet an average 200 visitors. Find out how they impressed the Estate Improvement Manager at The Cadogan Estate. The launch of The Welcome Ambassadors in Leeds marks a further significant step in the growth of The Welcome People, and consolidates its offering in the Northern Powerhouse. The Welcome People provide a team of 6 Ambassadors and a dedicated site manager provide visitor welcome, business visits, environmental reporting and council liaison services covering the central shopping district for the Heart of Manchester BID and other CityCo partners. After just 6 months of running the Canterbury Ambassador Programme, the team has logged over a 1,000 business visits and welcome over 18,000 visitors in the city centre, providing a friendly and knowledgeable first impression to tourists, business visitors and locals alike. We’re very excited to announce the launch of the 16th site for The Welcome People! On 7th December we start training The Welcome Team for Exeter BID – hitting the streets (and the mad Christmas rush) of this beautiful Cathedral City the following weekend. Our two Chester Welcome Ambassadors will take to the high street five-days a week from Thursday (19 November) to meet and greet visitors, guide them around the city centre and point out local attractions to ensure people make the most of their trip to the city. We returned to Cheapside BID in the City of London this week, following the successful ballot of businesses earlier in the year, which established the Cheapside Business Alliance. In the same week we celebrated our 4th Birthday, we’re proud to announce our 15th location! Working with our friends at Croydon BID, we’re delighted to be providing their new Welcome and Way-finding service. In a change from our traditional 3 piece suit and bowler, Croydon BID have opted for a striking pink and black casual look – you’ll be sure to spot The Welcome People Croydon Team! On Friday we said goodbye to Aldo, our Supervisor at inMidtown. Aldo's moving on to study for his teaching qualification, after three years with The Welcome People, but leaves his team in the very capable hands of Alhoussein, who's been promoted from The Northbank. We're featuring this story because it epitomises what The Welcome People is all about. Our founding principles of Trust, Pride and Camaraderie are captured here on camera - two people who care passionately about what they do. Good Luck Aldo and thanks for everything. Congratulations Al - you really deserve it.